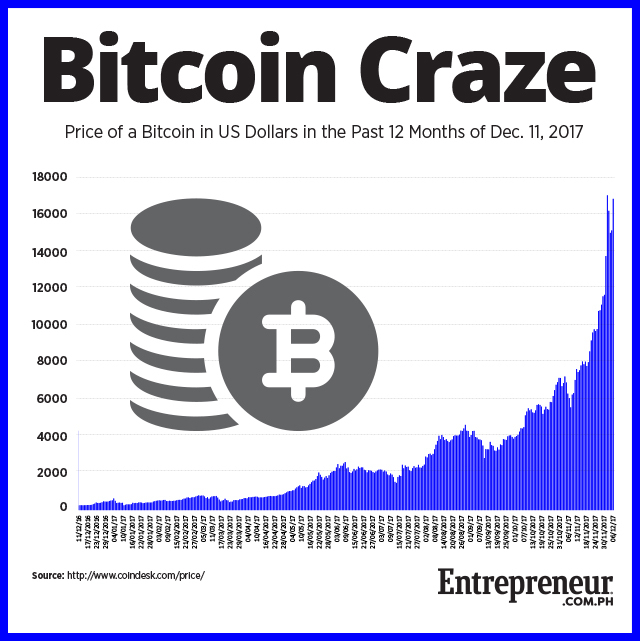 In the one-month period from November 11 to December 10, the price of 1 Bitcoin rose 133 percent from $6,334 to $14,774, according to data from CoinDesk.com. The high volatility of the cryptocurrency has sparked a surge in interest from Filipino investors, which has translated into more users buying and selling Bitcoin in the past few weeks. Indeed, data from Google revealed that searches for the term “Bitcoin” in the Philippines has grown in the past few months, with interest over time reaching an all-time high this December. Related story: Guess How Many in the Philippines are Using Bitcoin and Other Cryptocurrencies? Rising interest in Bitcoin in the Philippines has translated into increased demand for the virtual currency that is straining the capacity of two of the country’s most prominent Bitcoin startups, Coins.ph and Satoshi Citadel Industries (SCI). Both run Bitcoin exchanges where users can buy or sell Bitcoins with Philippine peso, and both have revealed increased activity in their respective platforms. The surge in transactions is testing the limits of the Bitcoin startups’ capacity. In a notice sent last Monday, December 11, Coins.ph informed its users that the growth in activity may cause some delays and downtimes in their transactions with the company. For its part, SCI operations “have been trying to keep up with the pace of growth as much as possible,” said Cuneta. Both SCI and Coins.ph mentioned that they are working hard to expand their respective teams in order to meet the increased demand. The two startups have also issued reminders about the risks of holding Bitcoins for investment purposes. In the notice, Coins.ph advised its users to “act responsibly” with regards to investing in the cryptocurrency. While it remains to be seen where Bitcoin will go after the recent surges in price, both Coins.ph and SCI are optimistic about the potential of cryptocurrencies and blockchain technology to revolutionize the financial services industry. Which PH Cities and Towns Have the Most and Least Bank Deposits?